Adults with severe mental illness (SMI) are disproportionately affected by HIV/AIDS. This study describes the frequency and associated factors of HIV testing among psychiatric outpatients (N = 150) in a small Northeastern city. A structured clinical interview assessed demographic, psychosocial, behavioral, and psychiatric factors. In the past year, 41% of participants were HIV tested. A hierarchical linear regression model revealed the following multivariate correlates: lower educational attainment, HIV risk behavior, greater social support, homelessness, non-psychotic disorder, borderline personality disorder, and greater treatment utilization. 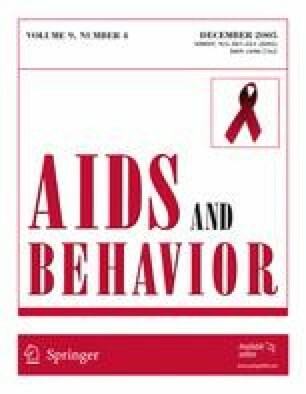 Psychiatric factors remained significant correlates of HIV testing after accounting for psychosocial and behavioral factors. Although HIV testing occurred among a substantial proportion of participants, 45% of individuals who engaged in HIV risk behavior were not tested in the past year. Adults with SMI are in need of interventions promoting routine HIV testing and risk-reduction counseling. Support for this review came from NIMH grant, HIV Risk Among Adults With Mental Illness (F31 MH067370), awarded to Christina S. Meade. The authors would like to thank Trace Kershaw for statistical consultation.